My name is Chauntalia Wise. I am from Atlanta, GA. I’ve recently just relocated back to Atlanta after living in Japan and the Philippines. 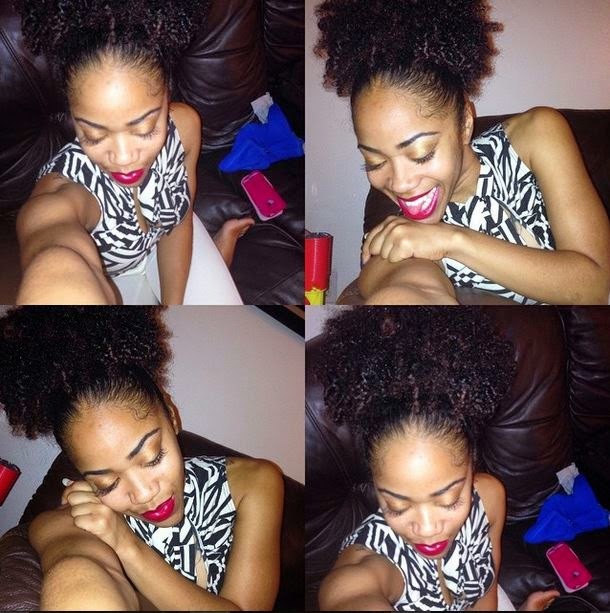 My natural hair journey began March 25, 2013. I transitioned for 8 months. My original transition goal was one year; however, I grew tired of seeing two different textures when I looked in the mirror. I’ve been natural now for one year and seven months. The 25th of November will be one year and 8 months for me. Before going natural I never knew I even had natural curls. I started getting perms when I was 5 years old. I was motivated to transition because I had bleached my hair honey blonde and it begin to break off very badly. I went to YouTube and came across @naturalneiicey and immediately fell in love with her hair and her length. I felt that my hair had the same potential. Eventually I also saw @mahoganycurls and knew going natural was a must for me. I was a transitioner because I’ve never had short hair. I was afraid of short hair and scared that I wouldn’t know what to do with it. I was also serving on active duty military in the Marine Corps at the time and didn’t want to deal with the hair regulations for short hair. My hair is thick; but not coarse. It will curl up with any wet product or just water now. It has to stay moisturized or it will break off. My curl pattern is very dominant. It’s not hard to see my curls and I don’t have to do much of anything to create a curl in my head. I love the fact that my hair is HEALTHY and growing. Most of all I’m so in love with my curls. I’ve only blow dried my hair twice during my natural period and both times I wanted to just cry. My most memorable part is definitely my BC. LOL. I went into my friends bathroom and literally, wet my hair and just begin to cut away. I came out and she had the most PRICELESS look on her face. It hit me a few days later that I had just cut off all of my hair lol. The journey has been easy for me. I do wear it up or put away a lot so I’m only dealing with my hair twice a month at the most. My favorite transitioning hairstyle and current is the BUN. There’s so much you can do with a bun. I just love them. They look so sophisticated. I cut my hair off before I moved to Japan so no family members ever actually saw my short hair. By the time I saw them again, my hair was already long again. I was always styling my hair in Japan and I had nothing but positive feedback and reactions. 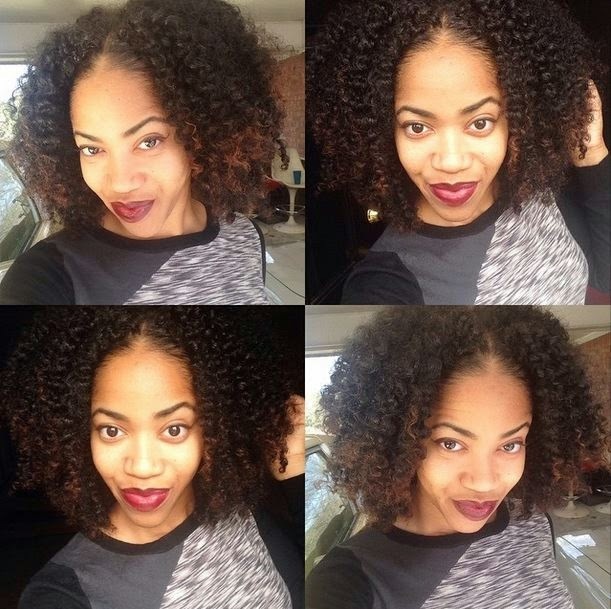 Before my hair got to this length, my regimen was washing and deep conditioning my hair EVERY two weeks. Then I would always do a protective style. Now I wash it every 3-4 weeks only because the process is longer and I’m in nursing school so my time is constrained. I tie my hair up faithfully every single night though. I just love youtube in general and watching hair videos and hair journeys. But those are my favorites. If you are going natural or are currently natural, be PATIENT. It will grow. Less is always more. Stay away from heat as much as possible. Moisture Moisture MOISTURE! And always tie up your hair. Remember, you are what you eat. I am currently working on a YouTube page but it isn’t up just yet.